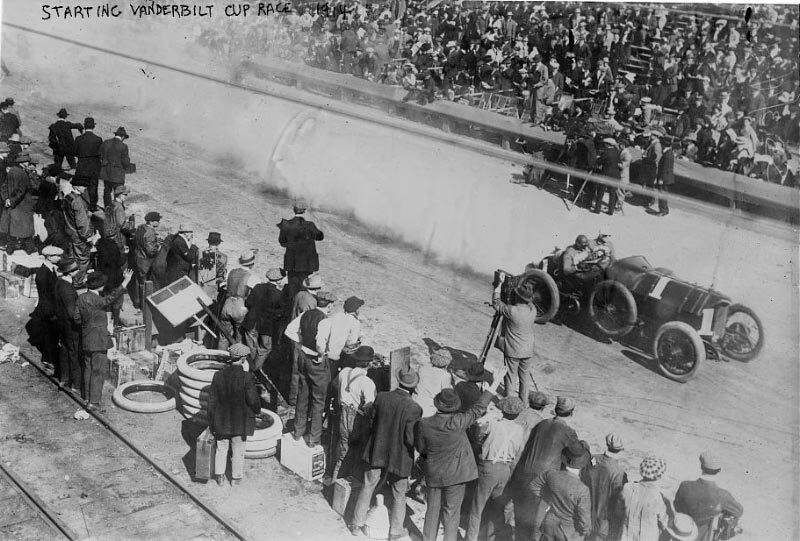 Both the 1914 and 1916 Vanderbilt Cup Races were held on the beautiful Santa Monica, California road course bordering on the Pacific Ocean. Check out the changes over the last 98 years. 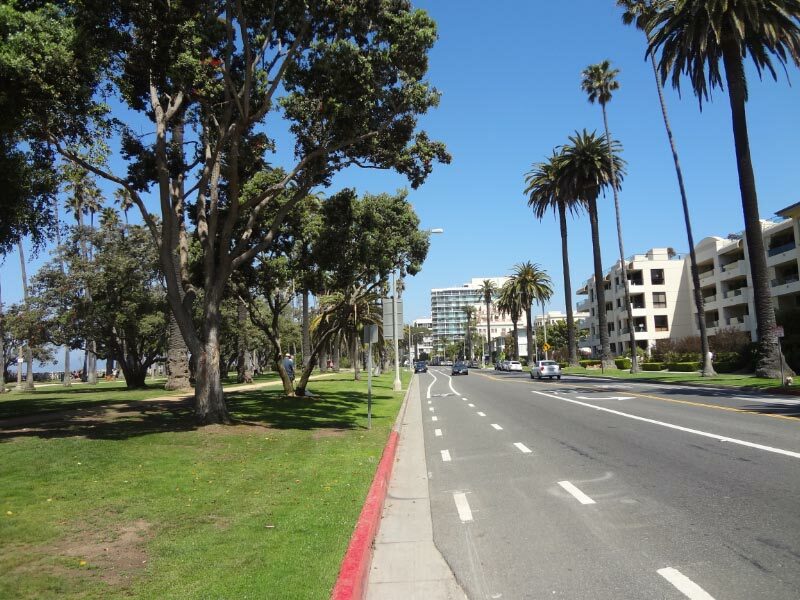 The Santa Monica 8.4-mile course consisted of three major roads; Ocean Avenue (location of the start/finish), Wilshire Boulevard and San Vicente Boulevard. The race was 35 laps for a total of 295 miles. The description of the course as described in the 1916 Vanderbilt Cup Race Program. 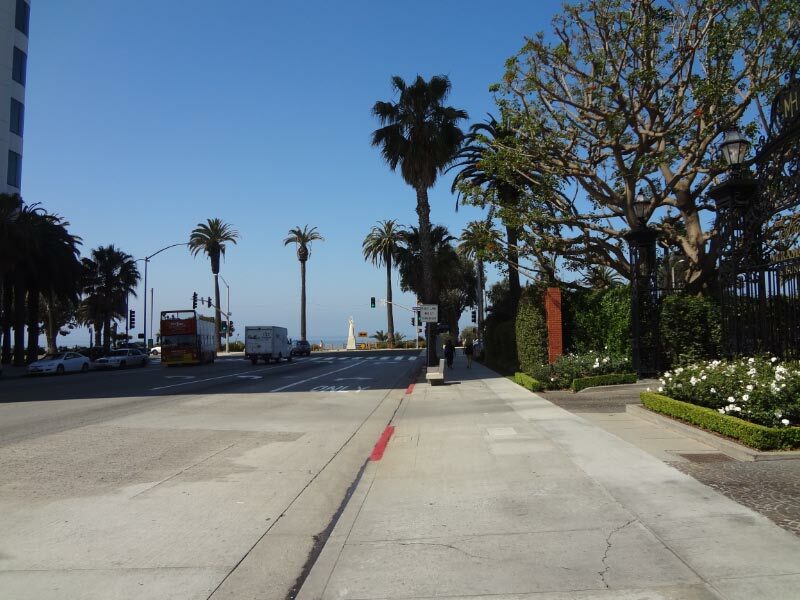 Then 1914: The "Death Curve" was located at the corner of Ocean Avenue and Wilshire Boulevard. Here, the #10 Mason driven by William Carlson was leading #12 Mercedes driven by Ralph DePalma. Then 1914: An elevated view of the "Death Curve" as seen in a 1914 Mack Sennett film starring Charlie Chaplin and Mabel Normand. 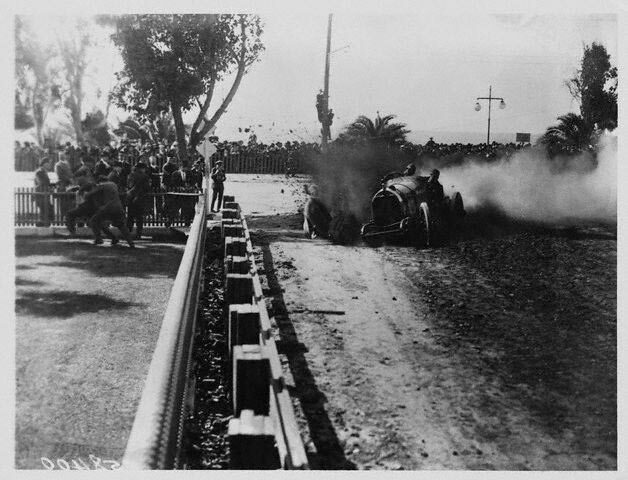 Then 1914: Eddie Pullen's #4 Mercer lost its front right tire at the "Death Curve" and moments later crashed into the barricade. 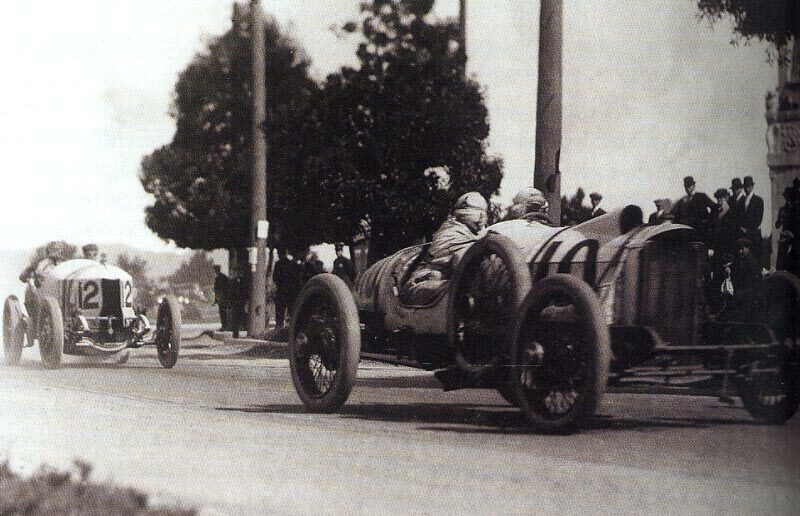 Two days later, Pullen won the 400-mile American Grand Prix on the same course with the same car. Now 2012: Looking west down Willshire Boulevard. The "Death Curve" is on the far right with the Pacific Ocean in the background. 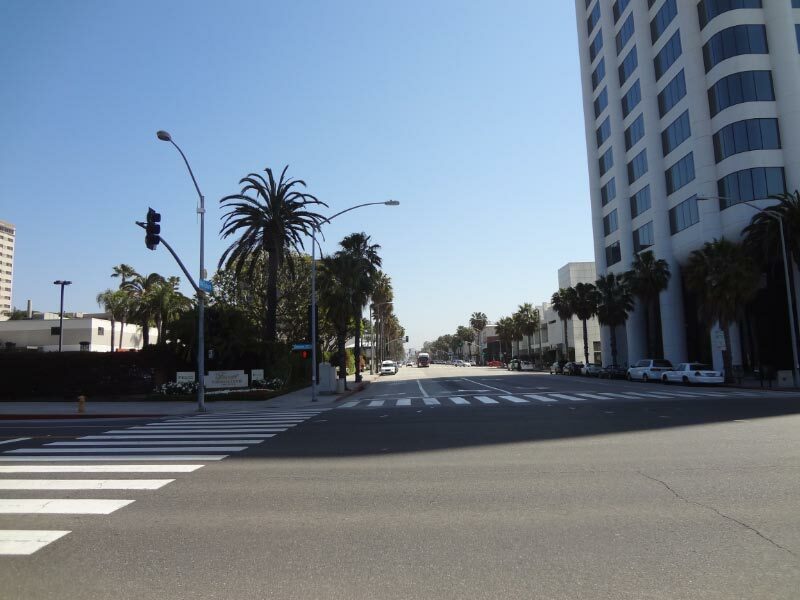 Now 2012: The view looking east up Wilshire Boulevard. Now 2012: The site of the pits on Ocean Avenue near Montana Avenue. 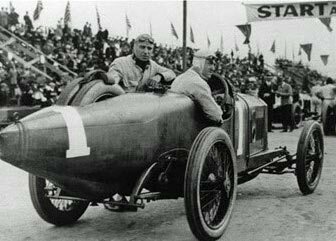 Then 1914: Harry Grant, two-time winner of the Vanderbilt Cup Races, driving the #1 Isotta passed the grandstands on the east side of Ocean Avenue. 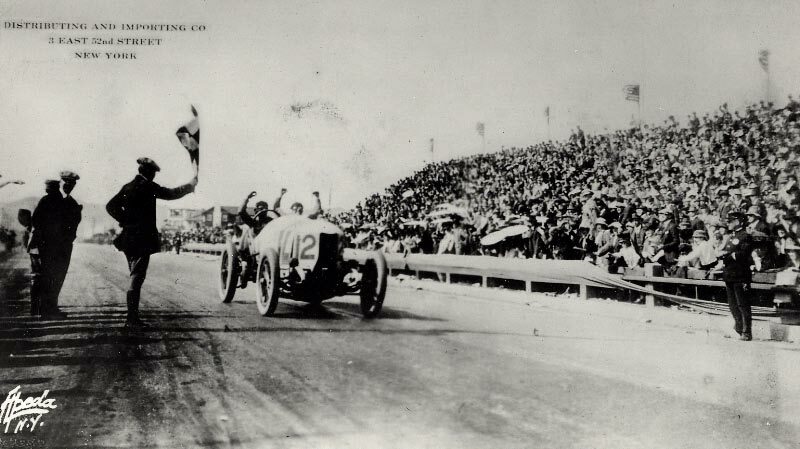 Then 1914: Ralph DePalma winning the 1914 Vanderbilt Cup Race in a Mercedes. 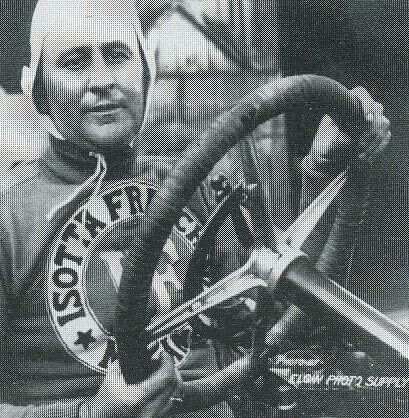 Then 1916: Dario Resta won the 1916 Vanderbilt Cup on the same course. It was the last Vanderbilt Cup race run with William K. Vanderbilt, Jr.'s name and support. 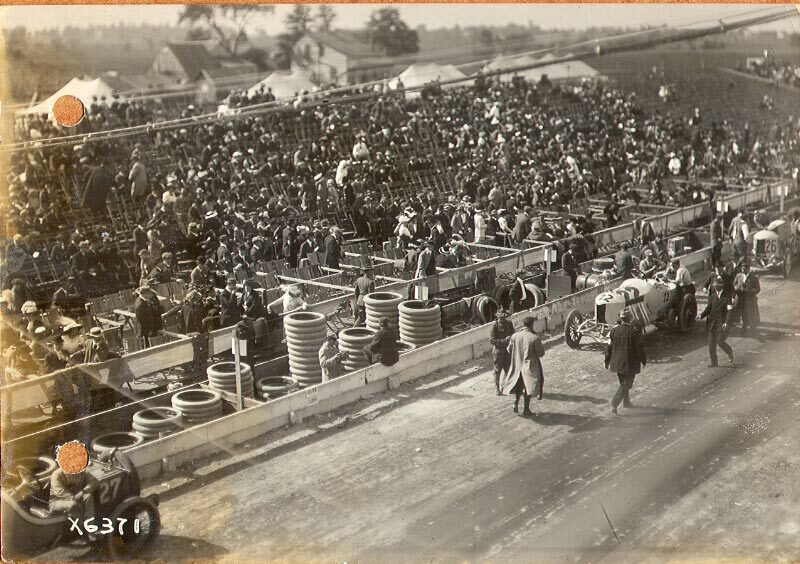 Now 2012: Looking north down Ocean Avenue, the major grandstand was located on the right. 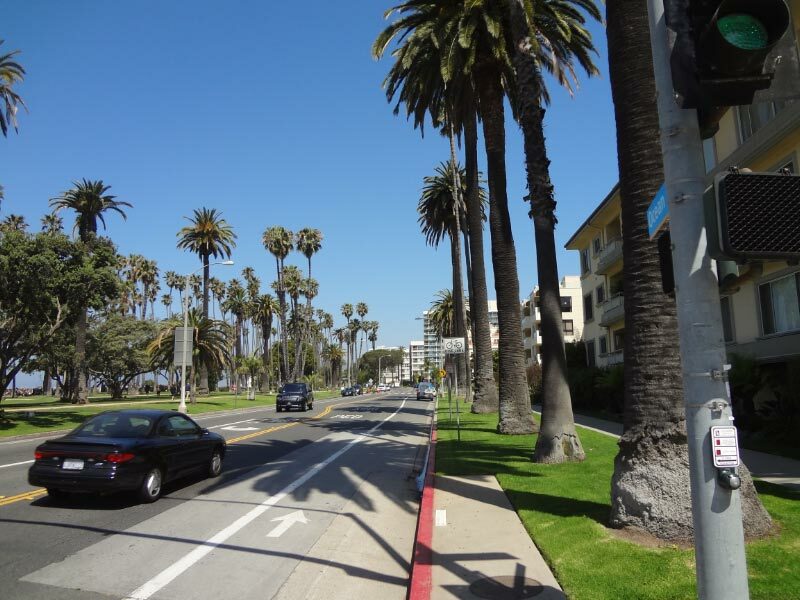 Now 2012: The repair stations and pits were located on the west side of Ocean Avenue. For more information and images of the road races on Santa Monica, check out Harold Osmer and Phil Harm's excellent book Real Road Racing- The Santa Monica Races. 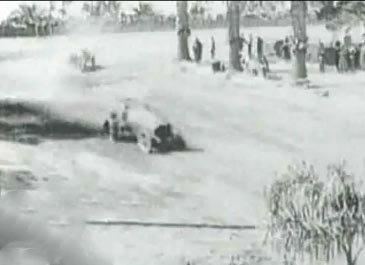 - This one http://www.vanderbiltcupraces.com/images/blog/1_HU012961.jpg show the crash of the Mercer (#4) of Eddie Pullen. - And this one http://www.vanderbiltcupraces.com/images/blog/Scanned_Photo-126_edited.jpg is not from Santa Monica. It’s Milwaukee in 1912: #27 Stutz-Wisconsin of Anderson - #22 Mercedes “Grey Ghost” of DePalma ( http://www.etoilespassion.com/histoires/mercedes-grey-ghost.html ) - #26 Mercedes of Wishart. Great catch…again. Post has been revised. Thanks! I was wondering if these pictures are public domain? I would like to use some pictures for my high school’s marching band field show, based on the 1914 Vanderbilt Cup, and Chaplin’s “Mabel at the Wheel”. Would your society be interested in helping sponsor our show? It can’t hurt to ask, and it would give our program a lot more gravitas if it was being supported by your organization! I will check the source of the photos and get back to you. There really is no society for the Vanderbilt Cup Races….but you don’t get anything unless you ask.